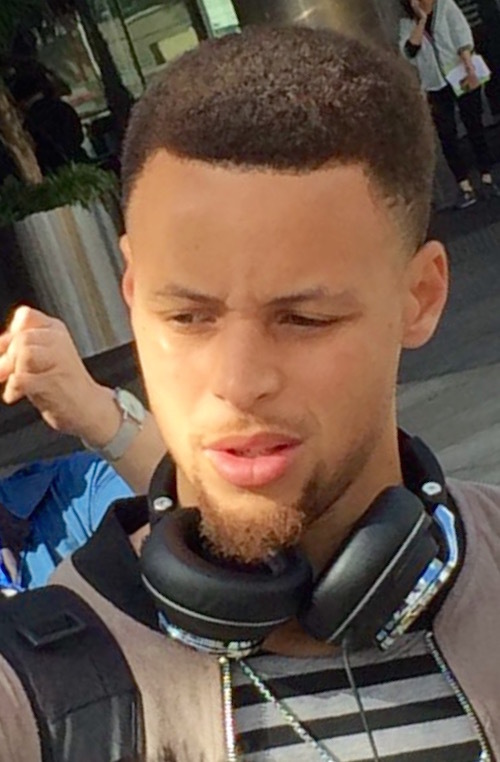 Here is an original photo of Golden State Warriors superstar Stephen Curry signing autographs, a couple hours prior to perhaps the most shocking game of the entire NBA regular season. The picture was provided to iFolloSports.com by a reader who was stationed outside the JW Marriott Los Angeles L.A. Live, located in downtown Los Angeles, across the street from Staples Center. In case you missed it, the woeful Lakers stunned the defending world champion Warriors 112-95, in a game that was nationally televised on ABC. Somehow, the now 13-51 team from LA dominated the 55-6 Warriors from the second quarter onward. For his part, the NBA’s best player contributed a mere 18 points, on 6 of 20 from the field. Curry’s 18 points were a full 12 points below his season average, with his field goal percentage finishing 21 percent below a typical day at the office. While Curry’s performance on Sunday was far from impressive, his continual devotion to his sport’s paying customer remains unparalleled, particularly for a player of his worldwide stature. In addition to viewing his efforts from Sunday, Curry fans can check out the numerous other times his generosity has made the pages of iFolloSports.com.